What is a CardioCore Elliptical? Ever heard the term "CardioCore Elliptical"? It's a patented and trademarked technology exclusive to Yowza Fitness, learn more about it here. The elliptical training market has seen a number of improvements since Larry D. Miller invented them in the early 2000's for Precor, and among some of the better advancements have had to do with improved ergonomics, low-maintenance roller-less designs, improved resistance systems and on that note, innovations like the CardioCoreTM ellipticals from Yowza Fitness. Note that Yowza Fitness holds the trademark on the term and technology "CardioCore" and it's used with permission here. What is the CardioCoreTM technology all about? This unique action of the upper action arms on their CardioCoreTM elliptical machines (Yowza Pompano, Yowza Bonita, Yowza Sanibel and their top model, the Yowza Captiva elliptical) results in a counter-rotational movement of the torso. As the left knee rises, the user's left elbow descends. Seeing it in action, it's like a standing crunch (minus the lower back pain or neck strain sometimes attending sit-ups or crunches). Is this an Advancement or Just a Gimmick? The upper body motion on many elliptical machines (especially under $1,000 or bargain-bin ellipticals) is often used for stabilization, a means to support yourself while elevated during your workout. In other words, the impact they have on your calorie burn is normally nominal at best. One of the benefits of the CardioCoreTM elliptical design is that the upper body is fully engaged, and your core muscles in particular (otherwise commonly called the abdominal muscles). You burn more calories in the same timeframe for a more efficient workout. You get to work your core muscle group and build tone in more than just your lower body. Fat loss workouts and HIIT take on a new meaning with the full body engaged, even moreso than average elliptical machines. The position of the body during these workouts is ergonomically correct, unlike an average crunch or sit-up where your lower back and neck can become strained for improper form. It's much easier to do a standing crunch while working your entire body on a CardioCoreTM elliptical machine. Bonita Elliptical with Counter Rotational Core Motion and 'Ramp-less' Incline. 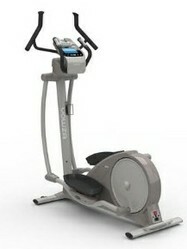 These ellipticals are only sold online, not in stores. When people read, "Not sold in stores," especially with fitness equipment, some amount of skepticism arises and it's entirely understandable. However, in this case it's due to the business model of the company, Yowza Fitness. Along with the likes of Smooth Fitness (which helped inspire this company in the first place, long story), Yowza Fitness decides to do business online exclusively. The strategic reason is that middle-man retail markup is incredibly expensive. It's much easier to ship directly to the consumer from their main office in Bonita Springs, Florida, than it is to use local shops as staging areas. Actually the entire process of retail stores is an inefficient business model (ever since the convenience of online shopping), and the savings are passed onto the consumer. 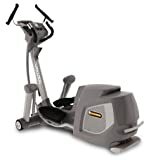 For all these reasons, these elliptical machines are considered "mid-range" in price ($1,000 - $3,000), and are sold to Canada and the U.S.
For those of us with a sedentary job, exercise equipment that you can use at your desk while you work can play a key part in keeping fit and healthy. Perhaps you are training for a marathon or started a new yoga program, then you will want to have the most innovative tools and fitness gear to be successful.